The woman wore a brilliant 3 karat marquise cut diamond ring on her left ring finger. It was an engagement ring given to her years ago by her then soon-to-be-husband who was out to impress. She loved the ring. The only time she took it off was to wash dishes. Otherwise, it remained on her hand. The diamond glittered and shined like the stars and was so big she frequently snagged it on her blouse when getting dressed. The ring was worth $30,000 grand and was a frequent topic of conversation and a source of envy among the woman’s friends in her exclusive Olympus Cove neighborhood near Salt Lake City. After a busy weekend that involved a visit from her college roommate and an obligatory shop til you drop visit to Nordstrom’s at Sugar House Shopping Center…the mystery of the disappearing diamond only deepened. It wasn’t until the following Tuesday that the woman looked down and noticed the ring was missing. The last time she could remembered seeing the ring was the previous Friday. She called the insurance company and promptly filed a claim on her homeowner’s policy. But the claims handler that answered the telephone found her statement rambling and contradictory. 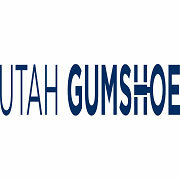 She was flagged for a in-person recorded statement and the insurance company called the Utah Gumshoe to investigate the mystery of the disappearing diamond. We sat in her spacious living room which afforded us a commanding view of Mount Olympus and discussed the events of the past few days. Tip #1 when taking a statement: build rapport. This serves to open the lines of communication and to both influence and persuade the subject to tell the truth. So we chatted for a bit and then I began to delve into exactly when she noticed the ring was missing. She last remembered the ring when she took it off in the dressing room at Nordstrom’s and placed it on a chair. She told me she was trying on several blouses and didn’t want to snag the ring on any of the clothes. That was Friday evening. She didn’t realize the ring was missing until the following Tuesday morning when she called the insurance company. A couple of things bothered me. First, the woman called the insurance company before she even bothered to call the store and ask if someone had found the missing ring. Second, three long days passed before she realized that the large 3 karat diamond ring (a ring she had worn daily for twenty years) was not on her finger. We’re talking about a 3 karat marquise cut diamond. That’s a huge ring. I found it hard to believe that the woman could go three days without realizing that such a large engagement ring was not on her finger. Yet, that was her story. I closed my notepad and walked out of her house. I figured that was the end of it. And it was. At least for a few weeks. Until I happened to randomly check her Facebook page and saw a nice current picture of her at a social gathering. She was laughing and holding a glass of wine in her left hand. And right there on her left ring finger, plain as day…was a 3 karat marquise cut diamond ring. I contacted the insurance company and was told the claim had not yet been settled. The mystery of the disappearing diamond turned out to be no mystery at all. This is Scott Fulmer, the Utah Gumshoe, reminding you the game…if afoot! 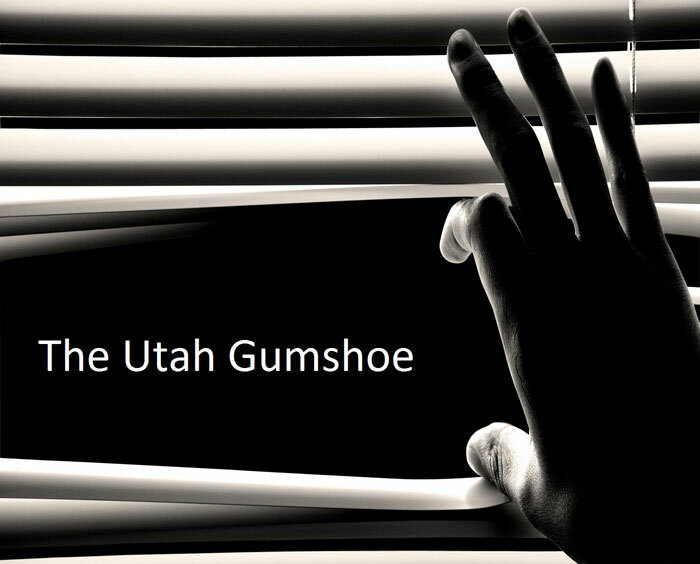 The Utah Gumshoe Podcast follows the real-life exploits, riveting case stories, investigative tips and insightful advice of Scott Fulmer, The Utah Gumshoe. Scott is a 20 year veteran Utah private investigator, surveillance expert and President/CEO of Utah Gumshoe, a private investigation firm based in Salt Lake City. He has written numerous articles on investigative and surveillance techniques that have appeared in PInow.com and other industry journals. He is a decorated combat veteran of the Persian Gulf War where he served with the famous 2nd Armored Division (Hell on Wheels). Whether you're a novice or an experienced investigator this is the podcast for you.